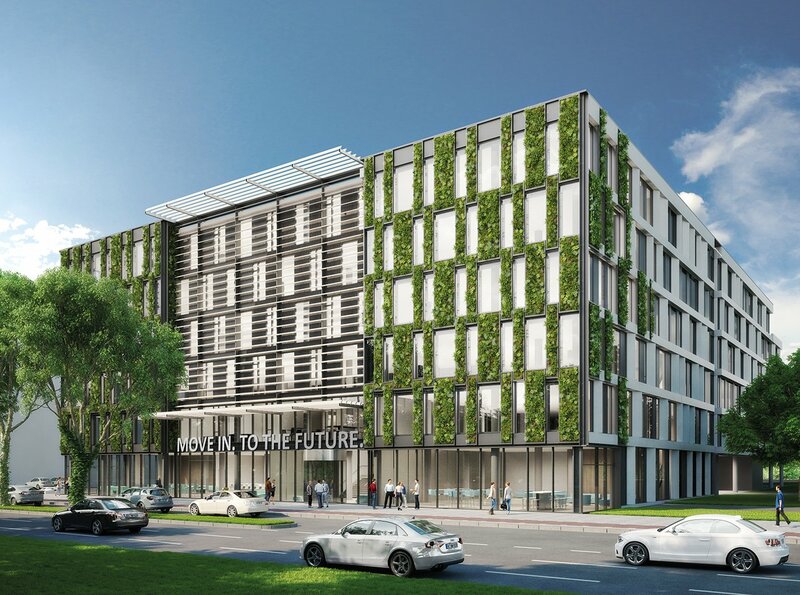 Opposite the Westphalenhallen, along one of Germany's busiest motorways, a new office building designed by William McDonough + Partners and IAA Architects will be situated. 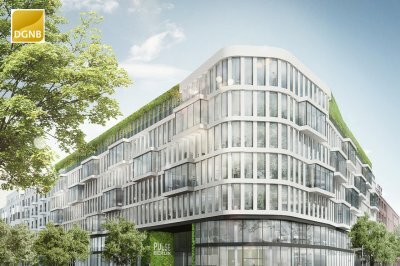 The sensational, future-oriented building is part of the building strip of Office Parks Rheinlanddamm to the west of Hohe Straße. 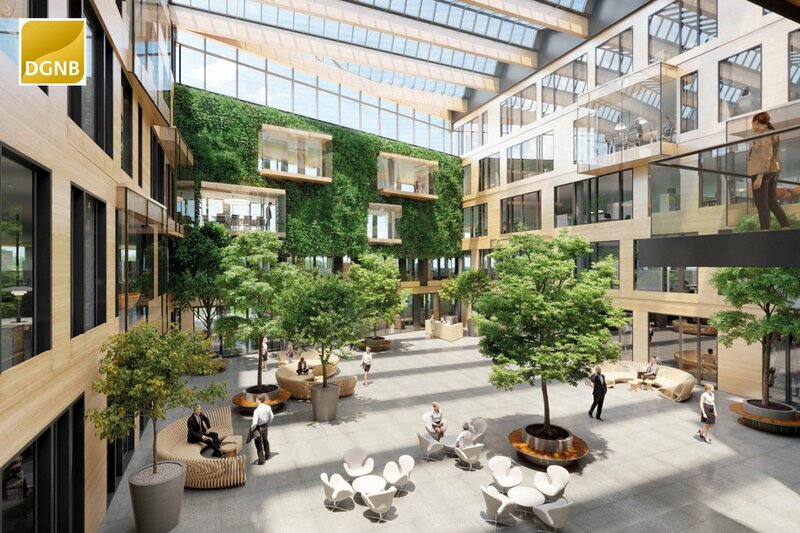 On the street side, the hanging gardens of the building stand out, the design of which is based on William McDonough and Michael Braungart's Cradle to Cradle® philosophy. The compact six level office is rectangular in shape with a bevelled side to the north where the building borders the gardens of the adjacent residential construction. On that side, the building gradually decreases and two large roof terraces arise. 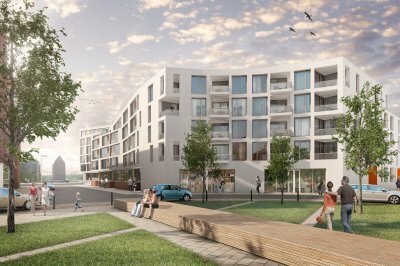 From the Rheinlanddamm, the building is accessible with a private connection to the B1 and it offers parking space in the underground parking lot as well as on the ground floor - partly below the building - for 213 cars and 156 bicycles. 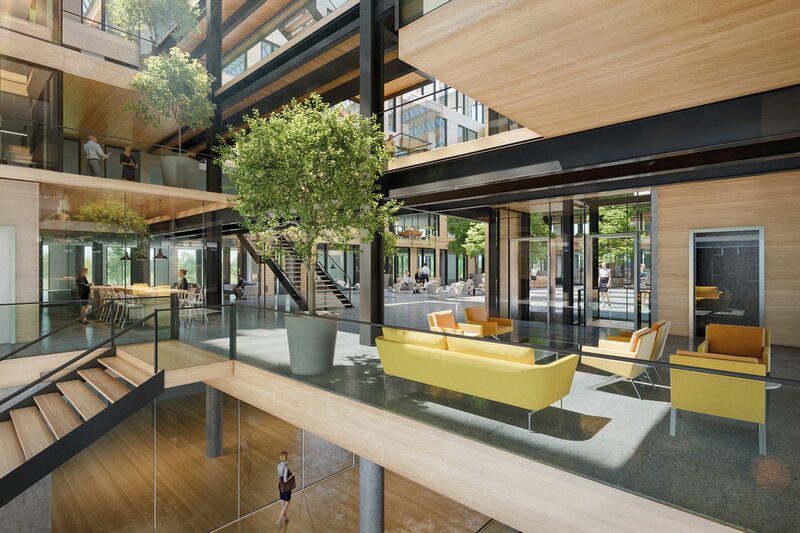 On the ground floor, shops and eateries are situated and there are stairs and lifts leading up to the atrium on the first floor which forms the covered indoor area for the flexibly rearrangeable office levels. This five floor high heart of the building is a space to meet and interact and it can also house events and presentations. The greenery, the chosen materials, the spaciousness and the incidence of light make for a natural indoor climate and a pleasant atmosphere. The building is constructed out of recyclable materials and reusable parts with as many Cradle to Cradle® quality marks as possible. This design has won the DGNB Zertifikat in Gold for sustainable construction at the EXPO REAL 2017. 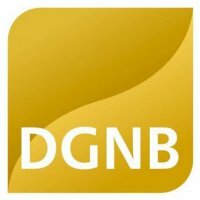 Also, the office at the Rheinlanddamm is a pilot project for the DGNB Version 2017's core theme, Circular-Economy.